Its wonders for to find. He sought for vines on Viney Hill. By all within this land. And asked "Who killed the bear?" Then men arose and knocked him flat. Our gentle friend was dead. Is plain. Dear friend, beware! To see the band go by. The man without a shirt. Risk not that gift of God! Than dead beneath the sod. 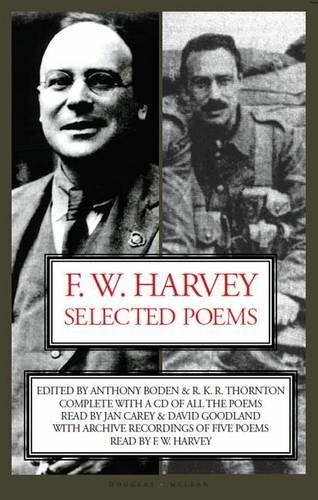 From F W Harvey: Selected Poems (Douglas McLean Publishing, 2011), © The Estate of F W Harvey 2011, used by permission of the F W Harvey Society for the Estate of the author, and the publishers. Recording © The Estate of F W Harvey 2011, used by permission of Douglas McLean Publishing and the BBC.